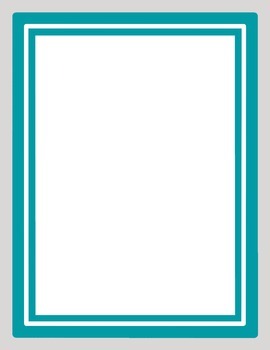 You will receive 35 task card templates (4 cards per image), 35 task card templates (6 cards per image), 35 task card templates (9 cards per image), 70 square frames (35 different colors in filled and not filled frames) and 70 rectangular frames (35 different colors in filled and not filled frames). 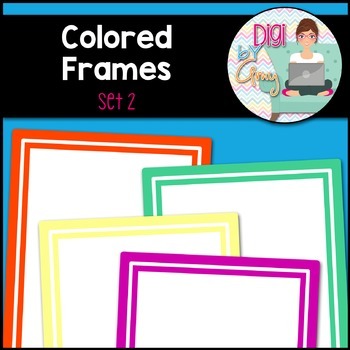 You will receive 70 digital frames/borders that are a little smaller than 8.5 X 11 (so that you can but a background with it - they can be stretched to 8.5 X 11 without losing quality) and 300 dpi. Files are provided in .png images only. 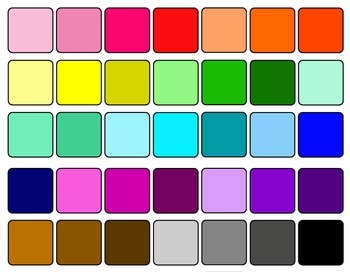 There are 35 frames and 35 filled frames for a total of 70 frames in 35 colors. 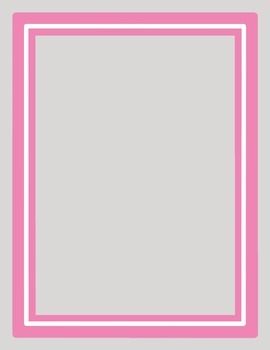 You get this frame in light pink, pink, dark pink, red, light orange, orange, dark orange, light yellow, yellow, light green, green, dark green, light seafoam, seafoam, dark seafoam, light teal, teal, dark teal, light blue, blue, dark blue, light magenta, magenta, dark magenta, light purple, purple, dark purple, light brown, brown, dark brown, light gray, gray, dark gray and black. Check out the preview to see all 35 colors. These designs were created by myself. All graphics may be used for personal and commercial use. No additional licenses are required, however, it is required to give credit and link back to my TpT shop, if you choose to use my background pages for commercial use.